Follow Flaky Tart Dough recipe for Banana Cream Pie. I have a tartlet pan. 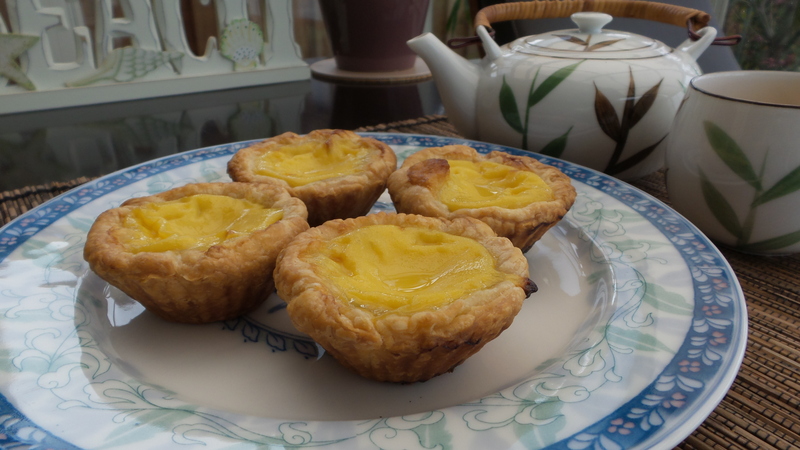 Half the tart dough recipe is enough to make 12 mini egg tarts. Freeze the remaining dough for another recipe. Roll the dough out to 1/8″ thick and cut circular discs that is about 1/2″ bigger than the mold. Cover the dough discs with plastic wrap and chill in the refrigerator for at least 30 mins. Press each disc into the mold, crimp the edges and prick holes in the bottom with a small fork. Heat milk with sugar in a small sauce pan over medium heat until sugar is dissolved. Do not let the milk boil. Remove from heat and cool. In a separate bowl, beat the eggs with evaporated milk and vanilla extract. Stir in the cooled milk and beat until combined. Set aside or chill in the refrigerator until ready to use. 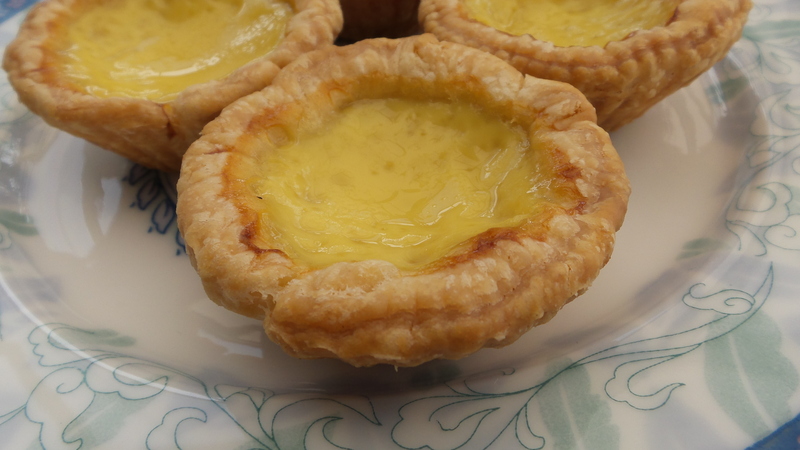 Remove the chilled tart shells from the refrigerator. 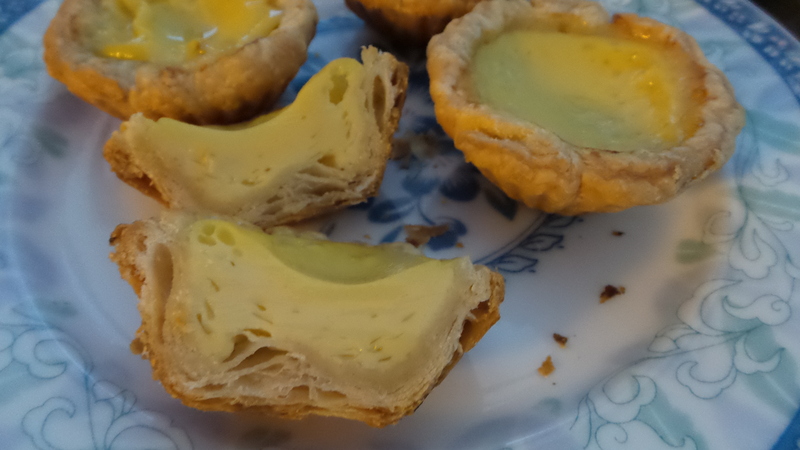 Fill each tart shell with the egg filling up to 3/4 full. The egg filling will rise when baking, it will overflow otherwise. Bake in 375 degrees oven for 30 minutes until the tart shell is golden brown and the egg filling is set. Remove the pan from the oven. Let is sit for 5 minutes. 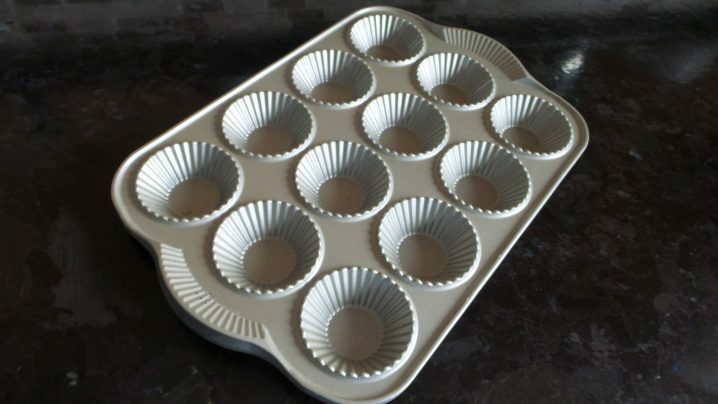 Remove the tartlets from the pan and cool on the wire rack. 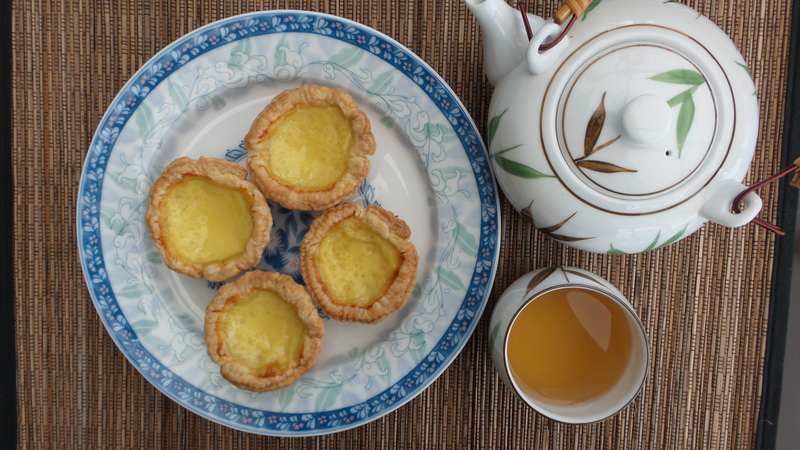 Serve warm with hot jasmine tea. Enjoy!